The latest flagship from OnePlus continues to offer everything we’ve come to expect from the company. 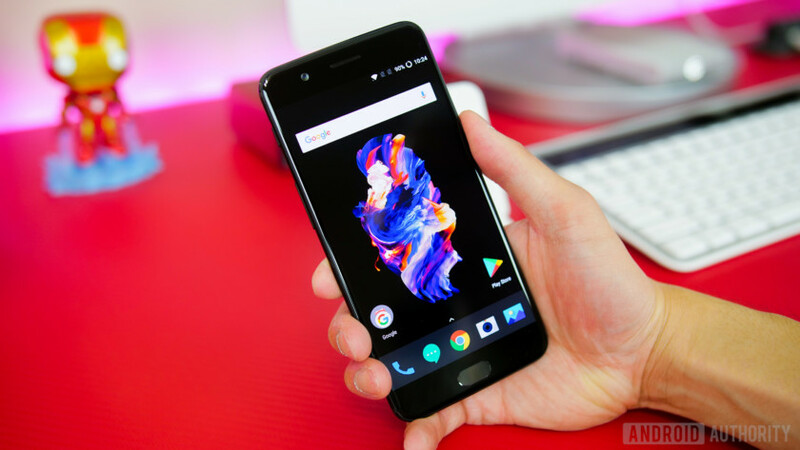 The OnePlus 5 comes with high-end specifications and features including a new dual camera setup, and while its price may not be as affordable as previous generations, the phone still manages to significantly undercut the competition. If you are looking for a solid current generation flagship, the OnePlus 5 is definitely a phone to consider. That said, as is the case with any smartphone or tablet, the latest from OnePlus is not without its problems. To help you out, we’ve rounded up some of the common issues that OnePlus 5 users have come across, and offer potential solutions on how to fix them! Disclaimer #2: The “jelly effect” issue has been left out, as OnePlus claims that this is normal behavior and there likely won’t be a fix available. Some people have found that the adaptive brightness doesn’t work as well as expected. This is a software issue, and a fix was rolled out with the official update to version 4.5.3. However, some users have found this issue to still persist, and hopefully, a more permanent solution will be available soon. Until then, you can download and use the Lux Auto Brightness app that is available on the Google Play Store, which is one of the best tools around to get better control over the adaptive brightness feature. There is also a free version of the app which can be found here. Some users have found that Windows 10 does not recognize their OnePlus 5 as a storage device, making it impossible to transfer files and media content to and from your PC. The device does still charge though when plugged in to the computer. This issue has been solved for many by manually enabling USB Debugging mode. Go to Settings – About Phone and tap on the Build Number multiple times until a pop up appears that says “You are now a developer.” Back in the Settings menu, a new section will appear called Developer Options. Open that, tap on USB Debugging, and enable it. You may also have to reboot the phone once you enable this mode. Now when you plug in the phone, change the USB configuration to MTP and everything should work as expected. A few users have faced some performance issues with their device, including random but repeated reboots and instances of stutter or lag. Some users have also seen rapid battery drain even when the phone isn’t in use. A rogue app could be the cause for any performance issues. Boot the device into Safe Mode (you can find the instructions on how to do so below) and see if the problem persists. If not, an application is the issue. You can then either delete the last few apps you have may have installed before the problem started, or perform a factory reset and start over, even though that is recommended only as a worst-case scenario, since you will lose all your data. Some users have found that apps and games that require an internet connection don’t seem to work when the device switches to mobile data, but work as expected when connected to Wi-Fi. The issue seems to be related to the APN settings. Go to Settings – More Networks – Mobile Networks – Access Point Names, tap on the APN for your network, and then change the APN Protocol to IPv4 or IPv4/IPv6. In a lot of cases, these setting is preset to IPv6 only, which results in issues when certain apps and games attempt to connect to mobile data. A few users have noticed that notifications tend to get cleared automatically from the notification drop down and status bar after some time. This issue isn’t a bug, but has to do with a battery management feature. Go to Settings – Battery – App Hibernation/Aggressive Doze Mode and disable it. If there are only a few apps that you want to ensure that notifications come from, you can add them to an exception list. Go to Settings – Battery – Battery Optimization (tap the three vertical dots at the top right corner). Then go to All Apps, tap on the ones you want to add to the exception list and select Don’t Optimize. Connectivity issues are quite common when getting a new device, and below are the general steps you can follow when facing problems with connecting to Wi-Fi or Bluetooth devices. Wi-Fi issues seem to be particularly prevalent with the OnePlus 5. Turn off the router that you’re using and the phone, and wait for a while before turning them back on. Go to the Wi-Fi settings on the device and forget the preferred network, before entering the details again from scratch. Check the level of activity on your current channel with the Wi-Fi Analyzer application. If necessary, simply switch to a different channel. Disable Power Saving Mode through Settings. Find the MAC address for the phone by going into Settings – About Phone and ensure it is recognized by your router. Make sure that no power saving mode is enabled. Start by turning the Bluetooth on your device off and back on again. If the problem continues, clear the cache for Bluetooth by going to the Bluetooth Settings. Restart the phone after clearing the data and cache. If the Bluetooth device saves multiple profiles, you might have reached the limit for the number of profiles it can save. Delete old and unused profiles, and try setting up the connection once again from scratch. If your display is off, turn it back on using the power key. Turn your phone off by pressing down the power key for five seconds. Turn the phone back on while keeping the volume down button pressed in. Your phone should enter a mode called Simple Recovery. Choose the option that reads “Wipe Cache Partition” using the power button. The phone should automatically reboot. Once off, press and hold the power button until the device starts booting up. As soon as it starts loading, press and hold the volume up and volume down keys simultaneously. Continue holding these buttons until the boot up is complete. Unlocking the device, you should see it having booted up into Safe Mode. So, there you have it for this roundup of some of the issues that OnePlus 5 users have come across, and potential solutions on how to fix them! We will continue to keep this list updated as other problems, and more importantly, solutions to fix them are available. All said and done, don’t let this small list of issues stop you from picking up a really good flagship. A lot of these problems are software related, and OnePlus has done a great job with sending out updates to address these concerns. Always make sure that you have the latest version of the Oxygen OS installed, and you can find out more about these updates by using our OnePlus 5 update tracker.